Manchester property pricing is still very affordable. Right at the Manchester city centre, 1 bedroom apartment unit is just cost £1xxK. 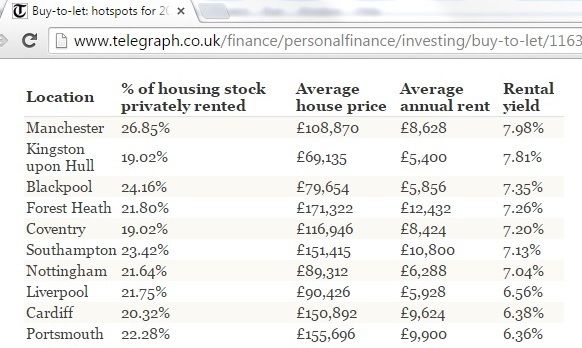 Compare to London city centre, 1 bedroom apartment can easily cost you 7 times higher. According to the Wikipedia, In 2013 Manchester has total population of 2.55 million and the number is growing fast as more people are flocking in to the third largest city of the country to study and work. Manchester experienced double digit price growth in 2014 with no end in sight. Manchester property rental demand is at all time high. not only from tenants but also for investors who are looking to purchase in the city. Rental property is being snapped up faster than it can be provided. Manchester property also facing a chronic housing shortage as the supply of new homes can cope with the demand. According to the new HSBC research which conduct annual review of rental yields around Britain, shows that Manchester is the best places to invest right now. The rental yield is close to 8% annually. 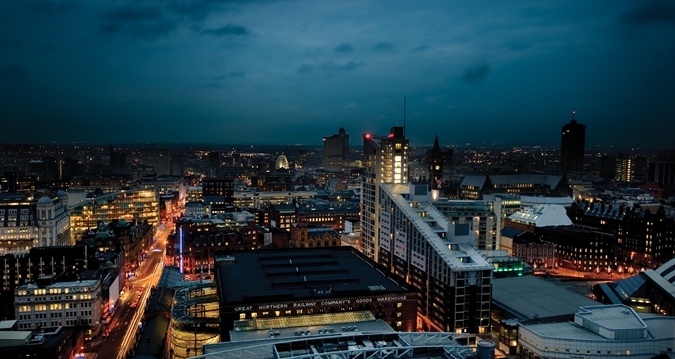 Manchester economy now is the second largest economy in UK after London. Total workforce in Manchester is now at 1.2 million with GVA of £46 Billion. George Osborne, The Chancellor has announced plan for the "Northern Powerhouse" in June 2014 in a speech at the Museum of Science and Industry in Manchester. According to the Chancellor, the treasury data showed that the economy was growing fastest in the North of England and the plan announcement is to support London in contributing to the whole UK economy. Manchester has a thriving economy including the recent developed business district in Spinningfields (Canary Wharf of the North). In 2014, total 65 of FTSE 100 companies has set up their offices in Manchester and the number has increased to 80. Major international companies such as BBC, Deloitte, KPMG, Google, Yahoo, Kellogg's, Barclay, Siemens, Yahoo, Citibank, RBS, and many more have offices in Manchester. As more and more companies are setting up in Manchester, it is expected that 100K employment will be created. Manchester benefits from fantastic phenomenal network, which will take you any part of the city with ease. The vast Metrolink network is the largest tram network in the UK and stretch out as far as Manchester Airport, offering convenience for the business and leisure traveller alike. Moreover, the extensive local bus system extends as far as the neighbouring counties of Lancashire, Yorkshire and Derbyshire. This implies that your tenants will be able to get into the city centre and out to different areas of the country without any trouble. As Fir Richard Leese, leader of Manchester City Council, Manchester has all the basic element for businesses. Excellent transport link and strong communication and digital structure investment in ultrafast broadband means the city now is excellently connected. Manchester has the largest student population in Europe which brings a lot of revenue to the city and also demand for property rental. There are a lot of investment ongoing in Manchester and these will be the catalyst for property price appreciation. High Speed Rail 2 is the Billion Pound sterling infrastructure investment which will cut the travelling time from London to Manchester and vice versa by half. China investment will reach £100 Billion by 2025. One of the major project they involve is the construction of Airport City and High Speed Rail 2. Posted in Property News, Property News and Article and tagged manchester property, property investment hotspot.